Qualcomm’s Quick Charge 3.0 was announced last year, but the company said that it wouldn’t arrive until 2016 as a part of its Snapdragon 820 package. Now that we are in 2016 and devices like the LG G5 have Snapdragon 820 processors with QC 3.0, it’s time to start upgrading your chargers to those that support the new fast charging technology. Today, we have two products from Aukey that should take care of quick charging in your car and at home. 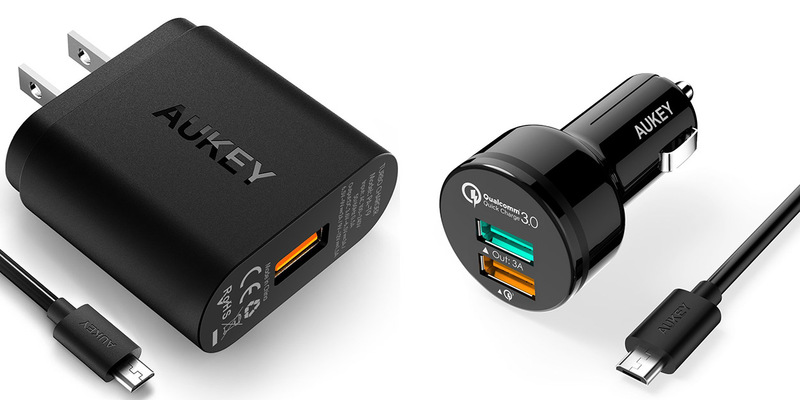 For $13.99, you can grab Aukey’s Quick Charge 3.0 car charger with coupon code below. That’s a solid $6 discount. For $14.99, you can add QC 3.0 charging to any wall with Aukey’s QC 3.0 wall charger. That’s a $5 discount. To recap Quick Charge 3.0, be sure to check out this post.